continent to the other, from this time forward, forever more.” The first fireworks display began on July 4, 1777.
conclusion. I told them that the red represented hardiness and valor, the white represented purity and innocence, while the blue symbolized vigilance, perseverance and justice. As a homework assignment, I had them look up those words and then write them in sentences that had to do with July 4th. We also had a talk about how to care for the flag. Most of them knew that the flag should be taken down at night and not left outside during inclement weather. They didn’t know that the flag was never to touch the ground. All in all, it was an interesting discussion. 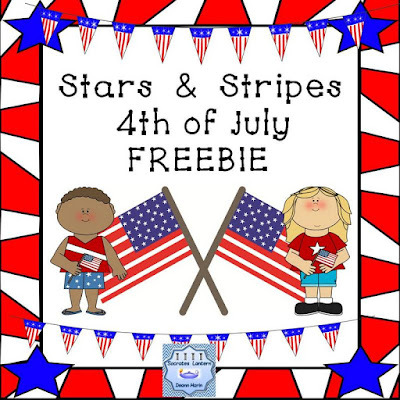 Parents and teachers if you’d like your children to learn about the meaning of Independence day in a fun way, take a look at this YouTube Video. Being born in the U.S.A, we take for granted what we have. We expect to be able to say what we want, vote for the candidate we like, live where we want, worship in our own way, dress how we like and marry who we want. There are so many other countries in the world whose people are oppressed and have no idea what “Freedom of Speech” is because they don’t have it. In so many countries women truly are second class citizens with very little freedom. I am so proud to be an American and very happy that I was born here. How about you?